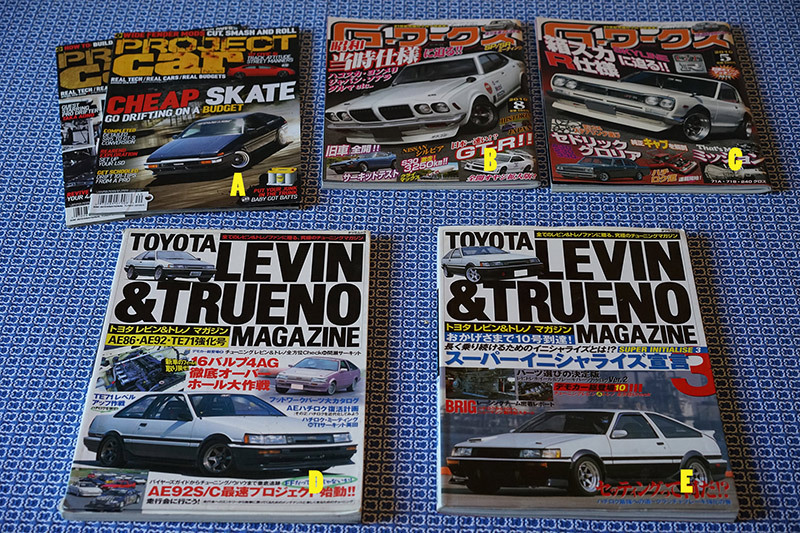 Selling off some AE86 related magazines and books. Mostly Japanese stuff. Most of it's in decent condition, some have bent covers and stuff. Not missing any pages or anything. Prices include shipping within the US. If you order more than one, take $2 off the total price for each additional magazine. Payment via PayPal. B. G-Works magazine. June 2010 issue. Lots of modified car coverage, car builds, track days, parts, comics, etc. $12. C. G-Works magazine. March 2010 issue. Same stuff. Mostly Nissan stuff, but has some AE86 coverage. $12. G. Hyper Rev Vol. 71. AE86/92/101/111. Typical Hyper Rev stuff. Lots of pictures of built cars, parts, etc. $20. H. Hyper Rev Vol. 48. AE86/92/101/111. More of the same stuff. $20. I. Japanese Toyota 86 pamphlet. 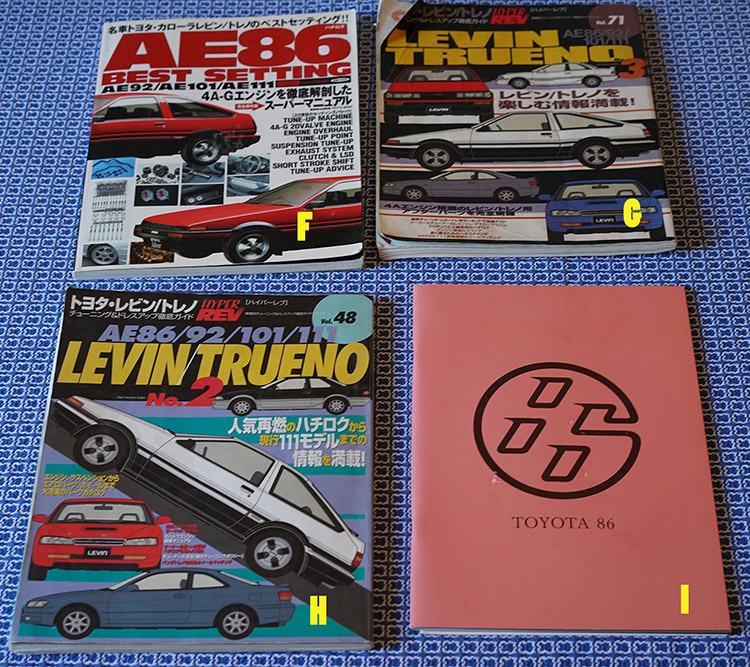 Lots of pictures of the 86, a couple of thin catalogues are included with stuff you can buy from the dealer like aero kits, navigation systems, etc. $10.